A UN agency which protects and supports refugees has become the first customer of Ikea's temporary refugee shelter. The Ikea Foundation, the social arm of the flat-pack Swedish furniture brand, will supply 30,000 units of its Better Shelter structure, with 10,000 to be delivered this summer to camps. Over the next three years, the company expects to double or triple production. 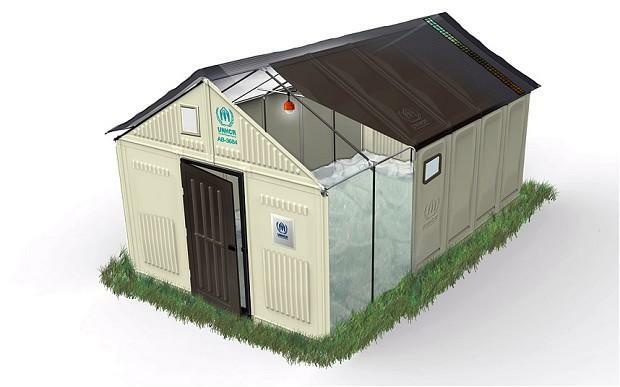 Developed in partnership with the UN’s Refugee Agency (UNHCR), the shelters come in flat-pack cardboard boxes and can be assembled on site without tools. Ikea said the prototype has been tested and improved by 40 refugee families in Iraq and Ethiopia. Their experiences and needs have been at the heart of the development process. Following the field testing the shelter design has been iterated and is now being scaled to production. The Better Shelter is a temporary shelter designed with special attention to transport volume, weight, price, safety, health and comfort. It can be assembled on site without additional tools and equipment with a solar panel and lamp to provide light during the dark hours. The expected lifespan of the shelter is three years. UNHCR has made the purchase agreement with the social enterprise Better Shelter which was started by the Housing for All Foundation, a non-profit foundation established by the IKEA Foundation. Better Shelter Head of Business Development, Johan Karlsson, said it the refugee shelter was just the first of many expected innovations from the organisation. “We will continue to develop the Better Shelter and also other solutions to benefit the many displaced people,” Mr Karlsson said. The 88-square-foot structures sleep five people, and come with a solar panel, a USB outlet and a roof screen that reflects the sun’s rays while trapping heat overnight. During the day, the solar panel charges an LED light, which can be used at night for 4 hour, or the system can charge a mobile phone. Refugees are given the structures in two cardboard boxes, which can be assembled in around eight hours with the help of an illustrated manual, Gizmodo reported. Safety is also considered, as the Better Shelter has a locking door, windows and ventilation, and a photovoltaic system to supply electricity. Each shelter costs $1,150 and lasts around three years.